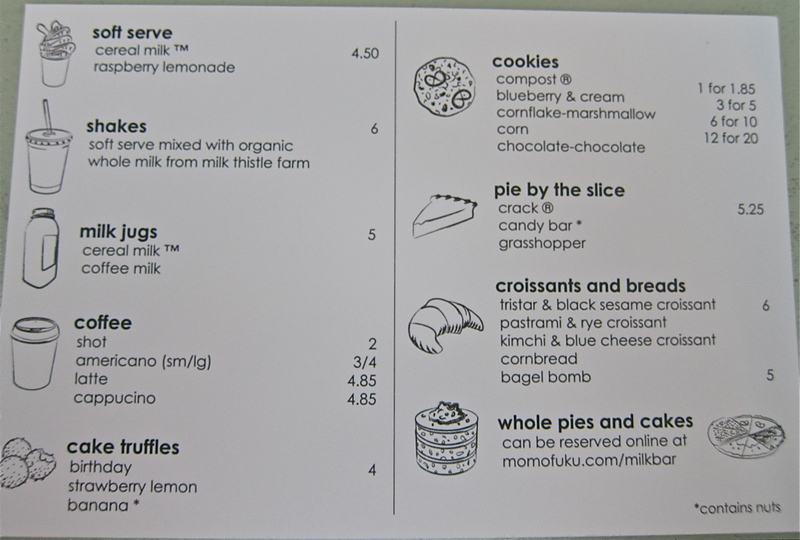 Momofuku Milk Bar: All Hail Butter and Sugar! 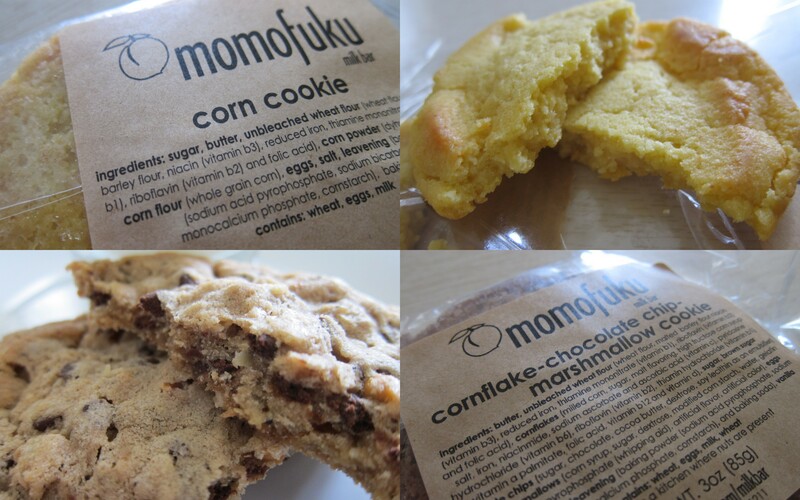 If you love butter, milk and sugar (and who doesn’t), then Momofuku Milk Bar is calling your name. Pastry chef Christina Tosi is well known for the innovative and irresistible desserts she whips up at Milk Bar. After hearing nothing but vehement praise for Milk Bar, we decided to save it as our last stop on our NY visit. We spent a lazy afternoon in front of Milk Bar consuming as much as possible, and let me tell you, everything people say is true – Milk Bar is insanely delicious. The Compost Cookie (a combination of butterscotch chips, chocolate chips, pretzels and potato chips) honestly was anticlimactic. There were no stand out flavors, but rather all components somehow melded to one and transformed into a singular indistinctive flavor. The Cornflake Cookie was impressive. A sweet vanilla cookie dough melds with gooey chocolate, sticky marshmallow and a chewy corn cereal crunch. The flavors and textures compliment each other perfectly. There is nothing boring about this cookie. The Corn Cookie is deceptive. A yellow, modest and unassuming disk turned out to be explosively sweet and complex. It was luscious, yet savory, and so delicate that it almost melts in your mouth. You are at once enraptured by the sweetness and at the same time confused as to how this cookie can taste like the perfect roasted corn on the cob. This is an enchanting cookie. 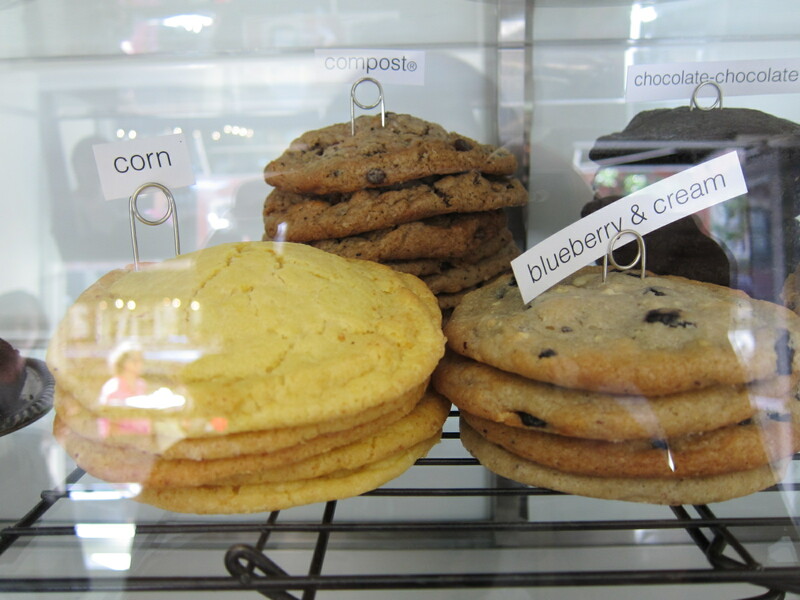 Milk Bar offers an array of flavored milks and soft serves, the signature flavor being cereal milk. 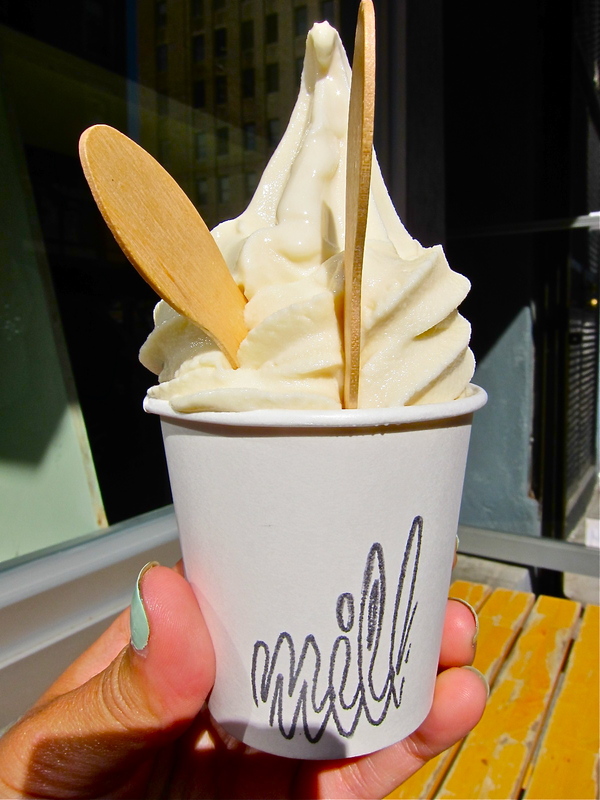 Given the beautiful sunshine outside, we decided on an icy cold swirl of cereal milk soft serve. This is a childhood dream. One bite and you are nostalgically transported back to mornings before school, scarfing down your cereal just to get to the sweet milk at the bottom of the bowl. Cereal milk is a broadly appealing, perfectly executed, and oh so satisfying flavor. It was so good we considered getting another, even with the bounty of sweets already consumed. This is a decadent slice of ooey gooey, buttery custard atop an equally sweet oat crust with just the faintest hint of lemon floating in a sea of butter. A bit is mesmerizing and addicting. You would think that such mass quantities of butter would be overpowering, but the crack pie is somehow rich without being overwhelming. This is not for the faint of heart. Why: The best part of your breakfast cereal is no in soft serve form! Who can say no to that! 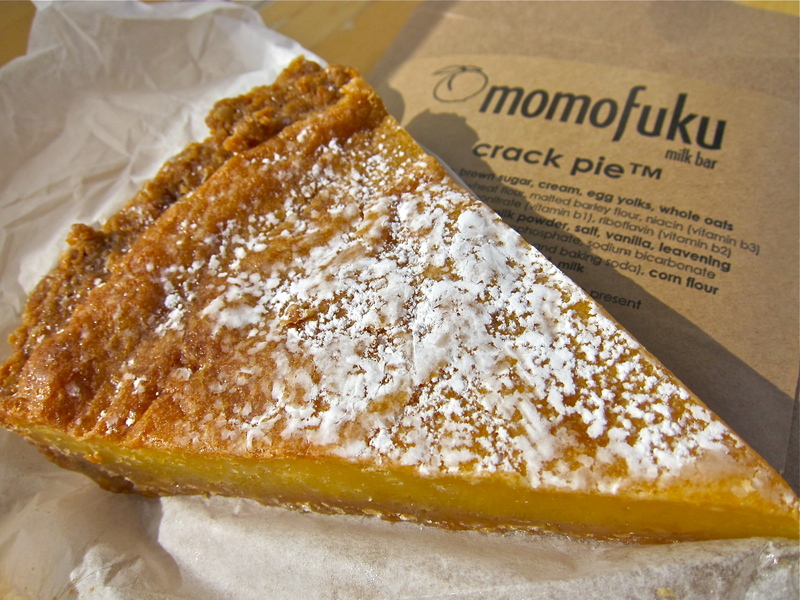 i had won a cookie giveaway a while ago – am dying to try the crack pie in person! the cereal milk soft serve sounds divine. my favorite part of the cereal eating experience was slurping the milk at the very bottom. oh dear…nyc is so far away from l.a.
i can’t believe I live in NY and I still haven’t tried this! cereal milk, man that sounds good! I’ve made crack pie and compost cookies before. I want to try the real thing and see how they compare. Esi- make me crack pie pretty pretty pretty please! I picked up a dozen cookies from Milk Bar and recently had my friend bring me back a dozen more. Mine were all pre-packaged. Did you go to the one on 56th Street? Danny- I wasn’t near 56th so I had to go to the smaller lower eastside location, but mine were all pre-packaged as well. Great for traveling, but cold for eating now. Christina- Just wait I have a few more coming to add to that list! All those goodies look amazing! That Cereal Soft Serve sounds especially good. AHHH! The crack pie was so good and buttery! I went there right after Doughnut Plant so I took everything to go on the plane and it worked out perfectly. Next time I go, I’m definitely getting the soft-serve–it looks SO delicious! P.S. The best meal I had in NY was at Caracas Arepa Bar. It’s right around the corner from Milk Bar and is seriously the best arepa I’ve ever had. Adrianna- That is so funny I also went to Caracas and absolutely loved it! I also hit Porchetta and Luke’s Lobsters all on the same block! I love NY!